The multi-ministerial task force set up to draft a national land reforms policy held its first meeting yesterday (17 October). The government is on a six-month deadline. If it fails to meet it, one lakh landless poor who were scheduled to arrive on foot in Delhi on 28 October will resume the 'jan satyagraha' in March 2013. 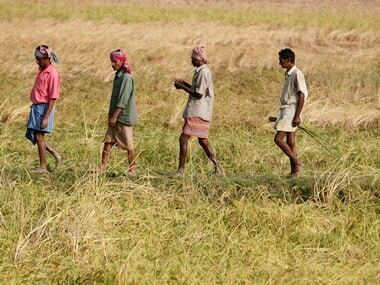 On 11 October, the jan satyagrahis called off their march in Agra after the Rural Development Minister Jairam Ramesh signed an agreement with them to address their demands – land for the landless and home for the poor. 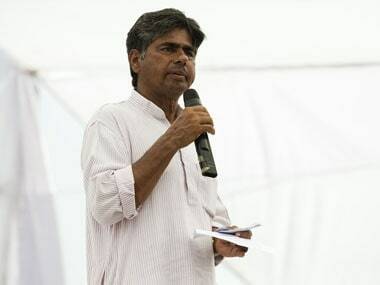 The man leading them PV Rajagopal, founder and president of Ekta Parishad, travelled 80,000 km through 24 states in the last one year mobilizing people fighting for their livelihood, before he began his ‘Freedom Walk’ from Gwalior on 2 October. Firstpost spoke to the Gandhian activist on why land, corruption and politics have become inseparable and what impact the high-decibel agitations in the Capital are having on people’s movements across India. Why has so much corruption seeped into land and control over land? Land price is going up. And everyone is in search of land. Land is where people want to invest. We say black money and black land. Black money is put into land. This is how you convert black money into white. Anybody investing in land will get more money in some years time. As a result, the poor and the middle-class can’t buy land. The land prices are up there in the sky. And only people with too much money can buy it. It is in their interest of keep it there. And so the Tatas, the Birlas, the Poscos, are creating their own land banks. And this creates room for corruption? Huge, because anybody who can offer favours in getting land can get a big kickback. So people are making money. Even government officials are making huge money by facilitating this process of acquiring land. Politicians are making money by facilitating this process. The real property dealers are in Parliament. They facilitate huge process of land transfer from one to another. They make huge amounts of money. And they continue to do so because for the next election they need money. And money won’t come by giving land to the poor people. How can the problem corruption in land be fixed? This is where probably a national land reforms policy will play a role. It will bring land on the radar. What is happening to land of India, why is it not going to poor people, why has homestead land become so difficult, why is adivasi land being encroached by industrial houses - all these discussions will happen when you have a policy framework. So by bringing a policy, you can ask what is happening to the land of nomads, the adivasis and the Dalits. How is all this land ending up in the hands of the powerful? Who is facilitating this process? The success of our movement was bringing the land agenda back to the central stage. Now land has become a hot subject. There is a climate for agitation in India today. 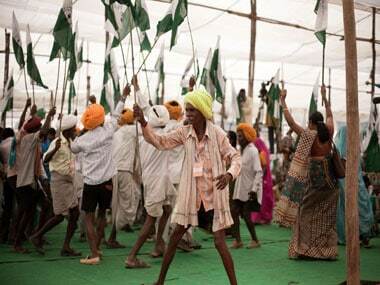 In what way did this help or damage Ekta Parishad’s movement for land reforms? Let’s say both. What the government did in response was to pass various laws to restrict voluntary and people’s organizations – such as cancelling foreign funding and so on. Secondly, because a movement that began as an anti-corruption movement ended with the formation of a political party, people started believing that these people too are politically ambitious. So with government restrictions on one side and misconceptions on the other, this has done quite a bit of damage. In that kind of climate, the land reform movement had a lot of difficulties in terms of raising resources, in reorganizing its image. But that is not to undermine the good work they did. They really brought up the issue of black money and corruption. And we appreciate that. On the positive side, it became clear that people in India are not going to take it anymore if the government is not behaving properly. In a country where the government is becoming less and less responsible, the people’s movements are becoming more and more responsible. 2012 will go down in history as a year when social movements played a very important at various levels. Was the government more sensitive to your demands, given the atmosphere in Delhi today? I will not say so. One, the government didn’t want one more agitation in Delhi. They had enough of it. They wanted to prevent it. Second, the government was also trying to send a signal - that if it is an organized, non-violent and disciplined movement, we don’t mind coming half-way for a dialogue. If it is chaotic, they don’t know how to handle it. They keep away and ask the police to handle it. Even the police don’t know how to handle it. This was poor people of the country, disciplined, using non-violent methods and just walking. What are the issues that the national land reforms policy must absolutely address? When we say land reforms, it is very simple. Land for shelter and land for producing food. If I’m living on a piece of land, regularise it in my name. Those who don’t have a piece of land, give them 10 cents of land to put up a shelter. Before giving land to multinational and national companies, give farmers land to cultivate so he has enough food for his family. We are saying bring a policy that says that land is not only for the powerful but also for the poor. See that land is also delivered to the through a policy framework. It is not charity, where the government gives it when it feels like it. This is where a policy is important. You have travelled 350 districts between 2011-2012. What are the ground realities that the government is refusing to see? The government is refusing to see the sufferings of the people. They want to see the glory picture of incredible India, they want to sell it. To some extent they are ignorant. None of them has grassroots experience. Manmohan Singh has never fought an election. 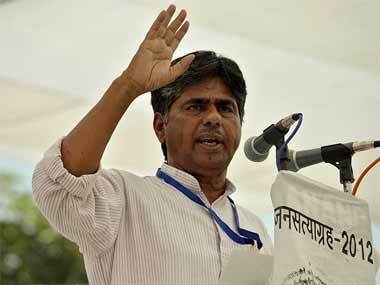 Montek Singh has never lived in a village. There is a disconnect in terms of the understanding of ground realities and the kind of projection they want to make of India. Millions of our people are migrating to cities. And cities are not a place they can live in. They are ending up in slums. Large number people have no shelter. They are completely dependent on land owners, to the extent that they become bonded labourers, the women are being abused. This everyone knows. And politicians should know this. And what is the risk of continuing to ignore these realities? The cities are already vulgar. They are not liveable. They are basically plastic and dirt piling up. The cities are only for machos with big vehicles. They can bulldoze everybody. Anyone like Abdul Kalam who is promoting urbanization by 2020 etc should understand that the kind of cities you are making are not liveable. And in order to make these cities, if you push more people from the villages into the cities, you are playing a dangerous game of creating unliveable cities. Second, violence is increasing. Of course, we read about violence against women, but armed violence is also increasing. You have already of 120 districts covered by armed groups. And when violence increases, not only villages but cities too will be affected. These two trends are dangerous. Whether it is migration, suicide or guns, end-product is that in the name of development you are creating a country that is hugely violent. I would say a Colombia is in the making. It is time for us to wake up. Many people are profiting from this violence - industrial houses, people selling small arms. It is more progressive than the first one. But again, it is not a land redistribution bill, it is a land acquisition bill. That is my problem - without considering land redistribution as a major agenda, the government is acquiring land for industry. Just increasing money doesn’t solve the problem. From across the country, I have collected 800 samples of soil - these are all land struggles. The farmers say they don’t want to give their land. Why are you forcing us to give our land? Land is dear to people. You shouldn’t treat it like a commodity. Are you optimistic about the government meeting the six-month deadline on formulating a national land reforms policy?